Peonies are beautiful flowers, but they tend to be choosy, and their blooming depends heavily on how they are cared for. From spring to winter and from planting to the removing of wilted flowers, here is all the advice needed to grow them. 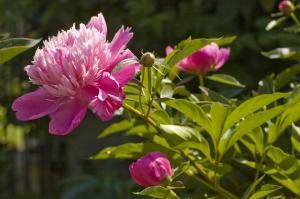 It is recommended to plant your peonies in fall spacing them 30 to 40 inches (80 to 100 cm) apart. Planting in the fall lets you savor their bloom in the subsequent spring. If you have purchased your peonies in containers, you can wait until spring to plant them, once freezing is over and before the heat sets in. Provide for regular watering over the first year. To enhance flower-bearing, add organic soil conditioner such as manure and seaweed. Choose a well-lit area that isn’t too hot. Part shade is fine, too. 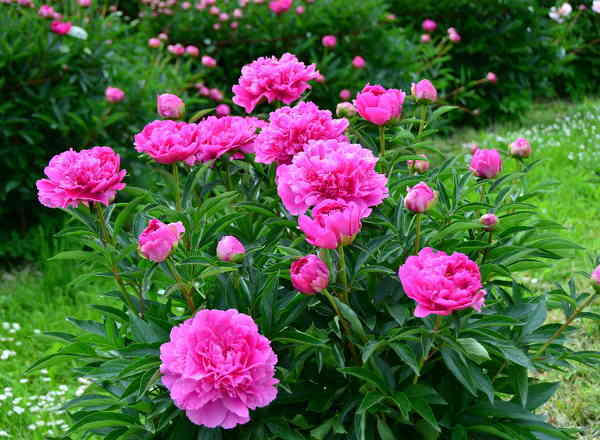 Peonies like well drained soil and usually tolerate ordinary soil. 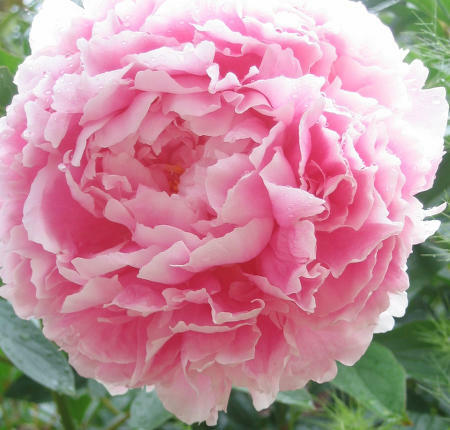 Follow our guidance on planting peonies. 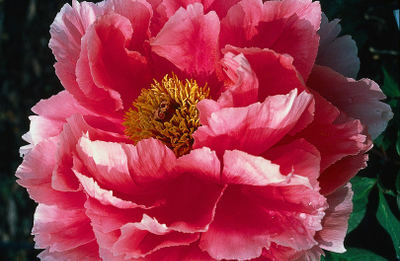 Propagating peonies is best done through root division in fall or at the beginning of spring. This is recommended every 3 to 5 years to give your plant renewed vigor. Pruning peonies, in their herbaceous or their tree form is not a necessity, but it has been said that it boosts flower-bearing dramatically! To stimulate budding of new flowers, remove wilted flowers regularly (deadheading). Prune delicately in fall or at the end of winter, removing any dead wood and the more fragile branches. 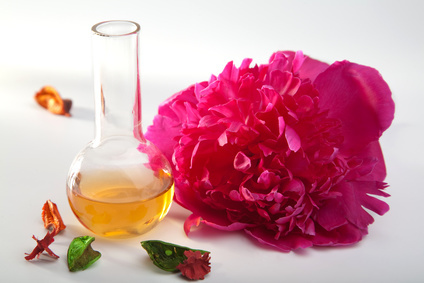 Herbaceous peonies die away naturally when the cold spells start, and reappear in the following spring. Do not remove leaves before they have died off, because peonies need them to stock up on nutrients for the next season’s blooming period. At the end of fall or the beginning of winter, you can remove the wilted leaves. Add dried leaves on top of the flower bed to mulch and protect the roots from freezing. This will also serve as fertilizer as it decomposes. – Verticillium wilt – peonies wilt and die. – Thrips larvae (insects) and nematodes (worms) are aggressive pests. – ‘Alba Plena’ – white, double flowers. – ‘Rosea Plena’ – pink, double flowers. – ‘Crimson Globe’ – red flowers. – ‘James Crawford Weguelin’ – large, carmine red flowers. This perennial is herbaceous or shrubby, and its blooming period is generous and lasts for all of spring. Tree peonies have the disadvantage of growing more slowly than herbaceous peonies. Herbaceous peonies die off completely in winter, and grow back in spring, whereas tree peonies keep their branches over the winter. They don’t grow much higher than than 6 ½ feet (2 meters) tall. Their flowers may be fragrant, and stand out forming an absolutely ravishing solitary round ball. Peonies are most commonly planted in perennial flower and shrub beds, along hedges or in secluded parts of the garden. Peonies are quite fragile, and if they are to be moved at all, handle them with utmost care.